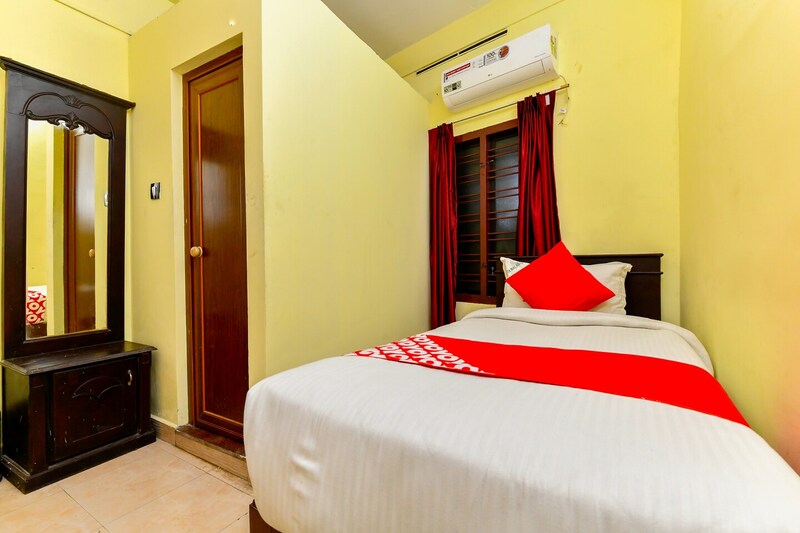 Enjoy a warm and peaceful stay at ERN Station with a central location in Kochi, close to various relaxing spots and convenient travel routes for outstation travelers. The simplistic and vibrant rooms with well-furnished modern interiors are welcoming and appealing. The minimal appearance of the room with bright walls keeps the room well-lit. The bathroom is simple, fresh and fitted with modern fittings. Various facilities available are free WiFi and card payment. Several well-known restaurants are in close proximity to the hotel. Key attractions like Mangalavanam Bird Sanctuary, Kernakulathapan Temple and Ernakulam Shiva Temple are in close proximity of the hotel.